Click On The Buy It Now button below to purchase this digital print. Immediately after your payment, you will receive the link to download your baseball art. Simply "copy and paste" your baseball art to your favorite folder. Then print it with your own printer. 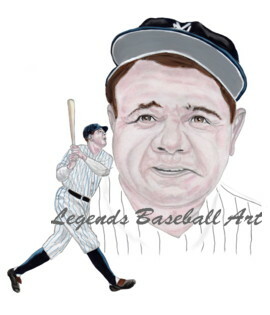 Legends Baseball Art will NOT be on your baseball art print. May not be reproduced or distributed.